Founder & CEO of Veritaseum. Please join Family Office Insights for this luncheon on Thursday, June 14th 2018 at 12PM. If you care to join us, please email admin@familyofficeinsights.com. Family Office Insights sits down with Reggie Middleton of Veritaseum to discuss his FinTech company that develops bespoke, custom research and software which facilitates peer-to-peer capital markets. The platform enables users to exchange the value of nearly anything without a trusted third party. The initial product, the VeADIR (Veritaseum Autonomous Distributed Interactive Research), provides access to a model portfolio of assets, digital platforms, opportunities and commodities. The product also creates bespoke digital assets. Veritaseum is on the forefront of providing the solution for anyone in any place to exchange value with others without unnecessary intermediaries, minimizing their related costs, timelines and risks. Tell us about your background and your company, Veritaseum. I have been a serial entrepreneur since age 23. After graduating college, I worked briefly for Prudential Insurance, and those 9 months were the only time I received a W2 in my entire adult life. After that, I broke off to start my own shop. I founded a business during the dotcom boom and created what is essentially Google Docs before there was a Google Docs. Although that didn’t pan out as anticipated, I went on to become a real estate investor. From 2000-2006, I purchased income-producing properties in downtown Brooklyn. Anticipating a massive real estate crash, I sold off my portfolio 6 months before the bottom started to fall out in real property markets, nationwide. Knowing there was a ticking time bomb in the FIRE (finance, insurance and real estate) sector, I decided to start my own hedge fund to take advantage of the massive leverage available to those vehicles, with the anticipation of riding the inevitable collapse of entities, industries and markets downward. I was not disappointed. Since I didn’t emerge from the typical ivy league business school/white shoe Wall Street bank background, I decided to differentiate myself through blogging. I created BoomBustBlog and hired a team of analysts to uncover contrarian investment opportunities. The analysis that emanated from the blog was a way for me to express my outlooks on the finance and real estate sector. It became very popular right away; A prominent, wall street investment bank offered me $10K to allow access to members of their proprietary strategies team. With this interest, I created a pay-for-subscription blog to take it mainstream. I predicted the collapse of Bear Stearns, Lehman Brothers, Washington Mutual and Countrywide, along with the rise of Google and the fall of BlackBerry. Over 10 years, I created a great track record of global macro analysis and fundamental yet contrarian valuations. I was first introduced to bitcoin in 2011 but didn’t seriously consider it until 2013. I caught the bug after reading whitepapers and wikis on smart contracts and saw things many other people did not. I saw this as a new way of transacting financially without placing any trust in your counterparty, otherwise known as zero trust. From 2013 to 2015, most others saw bitcoin and blockchain tech as a currency and remittance play. I left working on the blog and analysis full time to head a blockchain and smart contract oriented software startup. 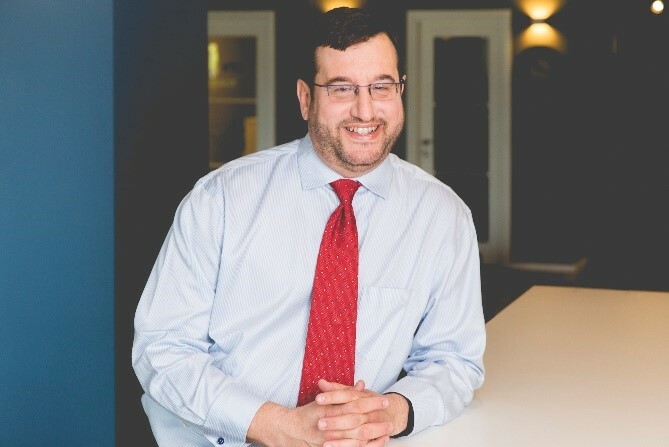 At the same time, my CTO, Matthew Bogosian, an intellectual property attorney and a software engineer that worked with Yahoo and Amazon, assisted me in filing patent applications on the capital markets application of smart contract and blockchain technology before any other financial institution and technology company, to our knowledge. We filed these patents for blockchain technology and smart contracts all over the world, putting us in a prime position to set up and build a peer-to-peer capital markets platform. In December of 2013, we built the first functional application of this technology allowing you to swap the value of, approximately, 30 thousand tickers without going through a brokerage company and also allowing for guaranteed settlement without settlement counterparty or credit risk. Veritaseum is a highly disruptive revolution in finance, investment and value transfer. It uses blockchain technology, smart contracts and distributed computing to aid industries and entities suffering from high economic rents, undue friction and gross inefficiencies. In short, Veritaseum is the gateway to peer-to-peer capital markets allowing any two or more individuals to deal directly with each other in transactions of value without reliance on centralized or authoritative third parties that fail to deliver requisite value. A big challenge in our industry is education. The constant misinformation and negative news surrounding our industry often shapes people’s perspective. The lack of diversity in industry players presents itself as a challenge as well. The addressable market is very large. The reason why I’m taking this system and attacking the inefficiencies in the financial system is because it is low hanging fruit. We have to have people understand that this is the perfect space for an automated system to eliminate friction in not only the financial industry, but manufacturing, logistics, retail, real estate, risk management, insurance, legal, and healthcare. In Wall Street, 60% of gross revenue goes towards salaries, bonuses, and grants. Wall Street is the only industry where employees make more than the owners of the company. This inefficiency, this friction, makes the financial industry quite ripe for disintermediation. Preconceived notions fertilize the ground for misinformation and miseducation. Thus, I can speak to very educated industry pundits and they may not understand platform economics and peer-to-peer capital markets. But an 8 year old can grasp the concept with aplomb, simply because they enter the discussion without preconceived notions. The perverse incentives of the financial industry business models allow firms to have undue influence. This influence is often exercised through being the middleman that gets paid more than the quality and substance of work they are putting out (economic rent), so that economic profit is being extracted at the expense of the financial product/service end user. This is not a zero sum game, though. For instance, Veritaseum’s application in the hedge fund and asset management industry is essentially a frenemy situation similar to Samsung and Apple (wherein the iPhone consists of many Samsung sourced parts at the same time that Samsung is the primary competitor to Apple). Similarly, the hedge fund industry can use Veritaseum and license it with the research vetted by our pros. This however reduces their margins by 80%, which makes it a hard sell. But it potentially increases their addressable market by a wide margin. In order to use our product, most hedge funds would have to rewrite their investment charter because they are not set up to handle digital assets nor on-chain exchanges. This brings into play family offices. A successful family office has a longer term investment horizon that matches our corporate investment style and is not tied to quarterly annual bonuses. The desire to preserve capital is often realized by placing risk capital in the appropriate vehicles while maintaining a healthy dollop of risk aversion allocations - all leading to granular and stringent risk-adjusted rewards. They realize that you have to take high-risk investments for a significant pay out, and the absence of high risk-adjusted rewards is actually the greatest risk of all. Diversity sets us apart from our competitors. Diversity is what’s most prevalent in terms of expertise and background, but also in terms of demographics, geography, gender, and ideology; this gives us our edge, e.g. filing patent applications three to four years before most of the competition. Our current iteration of the Veritaseum flagship software product is designed to purchase undervalued or underappreciated assets and to benefit from their natural growth and economic cash flow. As this is a digital asset exposure system and not a trading system, it has very low asset turnover and the fees are priced to come in below any other possible competitor, ie. private equity, venture capital or hedge funds. Most importantly, it is designed to give everyone access. The minimum on our platform is $50, where most hedge funds require on the low end about $100 thousand - and usually much, much more. With Veritaseum, you have absolute transparency in regards to where your capital is at all times, and full control of your assets at nearly all times. With hedge funds, you have close to no liquidity and 3 to 10 year capital lock-up periods. There is also the perverse incentive of hedge fund managers to manage their portfolios for bonus maximization versus maximizing long term value for there limited partners. With our system, there is no incentive fee that is paid out. You pay a flat fee and no performance fees. As it pertains to sovereign nations and political subdivisions within those sovereign entities, our closest competitor is China. In regards to private entities, other token-related startups are our immediate competition, but the more realistic medium to long-term competition will come from the larger and more established investment banks. •and last, but not least, we're educating the entire market with reams of regularly released fundamental research. We are not raising capital, but we are looking for people to use Veritaseum to gain exposure to digital assets. My mission is education. I think an educated consumer is the best consumer. Therefore, our mission is to educate the masses about the issues with the legacy system and the possible potential solutions. The true power of the blockchain has nothing to do with altering how Wall Street works, but creating a public network on blockchain technology that allows for the network effect to compound value and offset counterparty risk to this massive decentralized network. We are improving our software so that it can be released “in the wild”. Of course, there will be growing pains as everything is brand new and extremely disruptive - with regulatory pains likely being first and foremost. I have been in 7 countries in the last 2 months; not only to pitch the power of Veritaseum, but to talk to high net worth individuals and family offices on how to tokenize their natural resources and intangibles such as gold and IP. We are dedicated to launching our system globally. 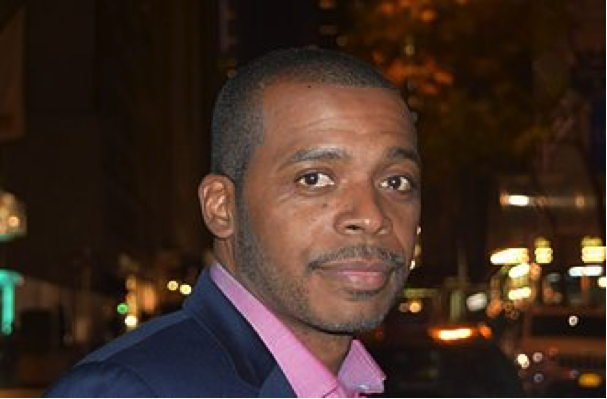 Reggie Middleton is the founder and CEO of Veritaseum, a blockchain, technology company that specializes in producing software, which performs and publishes forensic research on tradeable assets and provides smart contracts that allow clients to take exposures in those assets, peer-to-peer without a third party. Mr. Middleton guides a small team of independent analysts to uncover truths seldom, if ever, published in the mainstream media or Wall Street analyst reports. He founded Boom Bust Blog in 2007 and has since established an outstanding track record, including but not limited to, the call of the financial world’s most historic events. Aaron Elstein of Crain’s New York Business said “Mr. Middleton has been startlingly accurate in the past. He forecasted the collapse of the housing market in 2007 and, in early 2008, warned of the demise of Bear Stearns weeks before it happened. Earlier this year, he said that Ireland’s finances were in terrible shape long before Standard & Poor’s got around to downgrading that nation’s credit rating.” Reggie won CNBC’s stock draft competition In February 2013 and again in 2014, both times beating out six other professional traders. After graduating from Howard University, Reggie worked for Prudential Insurance, focused on the sale of financial products. After leaving Prudential, he worked in financial securities and risk management and was an entrepreneurial real estate investor. In 2017, Reggie announced the crowdsale of an Ethereum ERC20 Token, VERI, for access to the services and products of Veritaseum. If you have any questions, please contact Reggie at reggie@veritaseum.com.